Governor-elect Ralph Northam is preparing to take office in January by working with a number of transition committees as Governor Terry McAuliffe prepares to vacate the position. 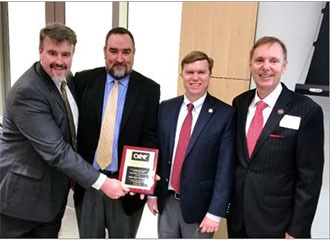 On Dec. 6, the National Capital Chapter of the Association of Energy Engineers (AEE) recognized Northern Virginia Community College by awarding the institution with the Energy Award for its sustainability efforts. Northern Virginia Community College student Shenley Ross will be recognized by the Metropolitan Washington Council of Governments (COG) for winning an essay competition where students wrote about the future of the D.C. metropolitan area. This opportunity was afforded to NOVA students through the College’s membership with the Consortium of Universities of the Washington Metropolitan Area. For the third consecutive year, students in the ceramics program at Northern Virginia Community College’s Alexandria Campus partnered with ALIVE! (ALexandrians InVolved Ecumenically) to donate handcrafted, one-of-a-kind bowls for the organization’s Empty Bowls Alexandria charity event. Northern Virginia Community College President Scott Ralls and Old Dominion University Provost and Vice President for Academic Affairs Augustine “Austin” Agho signed a guaranteed transfer partnership agreement Nov. 9 that will strengthen an ongoing partnership between the two institutions. In addition, a cybersecurity pathway program was finalized that will help address workforce shortages in the high-demand field. The community is invited to International Night at the Manassas Campus of Northern Virginia Community College on Nov. 20 from 7 to 10 p.m. The evening will feature a journey around the world showcasing the many cultures that are represented at NOVA-Manassas. The event includes a keynote speaker, skits, music, raffles, food and more. Veterans, dependents and active duty military are invited to the Medical Education Campus of Northern Virginia Community College for a Veterans Day Luncheon in honor of those who have served in the United States Armed Forces, on Thursday, Nov. 9 from 11 a.m. to 1 p.m., 6699 Springfield Center Drive, Springfield. The Woodbridge Campus of Northern Virginia Community College will host a Military Appreciation Day, in honor of those who have and are currently serving in the United States Armed Forces. With 15 percent of NOVA students classified as veterans or active duty personnel, NOVA's Office of Military and Veterans Services (OMVS) has continuously assisted active duty service members, veterans and family members to achieve their education and career goals. Dr. Scott Ralls, president of Northern Virginia Community College, will provide testimony at 2 p.m. Tuesday, Oct. 24 on Capitol Hill. Ralls will speak during a joint hearing for the Subcommittee on Cybersecurity, Infrastructure Protection, and Security Technologies of the Committee on Homeland Security and the Subcommittee on Higher Education and Workforce Development of the Committee on Education and the Workforce. The Alexandria Band for Northern Virginia Community College will host its fall season concert “Spooktacular Sounds in the Haunted Hall” from 7:30 p.m. to 9 p.m. Thursday, Oct. 26 at the Rachel M. Schlesinger Concert Hall and Arts Center, 4915 East Campus Drive, Alexandria, VA 22311. The community is invited to hear Dr. Nicholas C. Barbi discuss the value of noninvasive elemental analysis of works of art. Barbi’s presentation will include a demonstration of ELIO, a specialized X-ray machine that can find unseen information in artwork. Steven Fine of Pullin Electric recently spoke to a business class at the Manassas Campus of Northern Virginia Community College. The Alexandria Campus of Northern Virginia Community College celebrated the innovative addition to its campus and to the College community during the ribbon cutting ceremony for the new Center for Design, Media and the Arts building on Friday, Oct. 6. U.S. Secretary of Education Betsy DeVos recently announced the appointment of two new senior staff members. Dr. Michael Wooten – who chaired the governing board of Northern Virginia Community College from 2014 to 2016 – will serve as Deputy Assistant Secretary and Acting Assistant Secretary for the Office of Career, Technical and Adult Education, effective Monday, Oct. 2. Registration is taking place now for an eight-week session that begins Oct. 18 at Northern Virginia Community College. Registration for the session closes at 11:59 p.m. Oct. 17. Northern Virginia Community College (NOVA) President Scott Ralls today announced his support of the newly-launched Growth4VA campaign, which will focus on promoting reform and reinvestment in Virginia’s top-ranked higher education system. The campaign, backed by a partnership of higher education and business leaders, aims to help grow the Virginia economy, expand access to education and job opportunities for all Virginians and regain Virginia’s #1 ranking for business. As a global leader in manufacturing medical devices, Samsung has partnered with Northern Virginia Community College’s Medical Education Campus to host an informational session, “Getting Started with Contrast Enhanced Ultrasound in the Liver,” on Thursday, Sept. 28 from 6 p.m. to 8 p.m. at the Medical Education Campus, 6699 Springfield Center Drive, Springfield VA 22150. The Woodbridge Campus of Northern Virginia Community College will participate in a statewide two-part screening of the new film, Democracy for Sale on Tuesday, Sept. 26 at NOVA-Woodbridge Lakeside Theatre, 2645 College Drive, Woodbridge. Northern Virginia Community College and George Mason University were recently chosen as a finalist team for the Education Design Lab Seamless Transfer Pathways Design Challenge. Chainsaw artist Andrew Mallon of AM Sculptures recently carved a realistic likeness of Ace the NOVA Nighthawk at the Manassas Campus of Northern Virginia Community College as part of the back-to-school events sponsored by Student Life. Dr. Robert (Bob) Wade, has been appointed as the interim dean of allied health for Northern Virginia Community College’s Medical Education Campus (MEC). Northern Virginia Community College (NOVA) and CyberForce LLC today announced their collaboration to create a Cybersecurity Center of Excellence and Lab for Critical Infrastructure (CCoE). Established in CyberForce LLC’s offices in Reston, Va., the CCoE has a focus on Industrial Control Systems (ICS) Cybersecurity. In an effort to strengthen its existing collaborative relationship, Northern Virginia Community College President Scott Ralls and Radford University President Brian O. Hemphill signed a Guaranteed Partnership Agreement during a ceremony at NOVA’s Annandale Campus on Aug. 28. The agreement outlines the foundation of the partnership designed to facilitate the seamless transfer of NOVA graduates to Radford University. Six students from Northern Virginia Community College participated in paid internships at Virginia Tech during summer 2017 through the National Institutes of Health Bridges to the Baccalaureate Scholars Program. 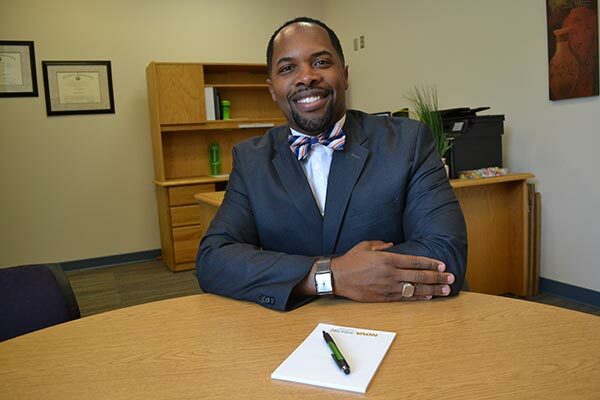 Northern Virginia Community College’s Alexandria Campus recently welcomed Dr. Tyson Beale as the new dean of students. Beale joined the NOVA family in his new role on August 10, 2017. At the Alexandria Campus, he will oversee Student Life, Student Conduct, First Year Advising, Enrollment Services and Counseling. Twenty-year military veteran, former nurse midwife has delivered more than 11,000 infants in her career Dr. Marsha Atkins, has been appointed as dean of nursing for Northern Virginia Community College’s Medical Education Campus (MEC) effective July 25. 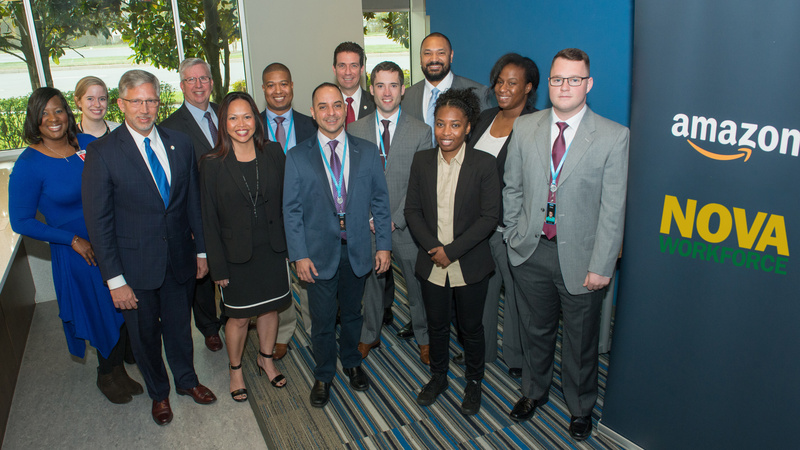 Twenty-four students from Northern Virginia Community College graduated in the third cohort of Year Up National Capital Region (NCR) -Woodbridge. The graduation event was held Aug. 3 at the Rachel M. Schlesinger Concert Hall and Arts Center at NOVA’s Alexandria Campus. There continues to be a gap in the number of personnel to the number of jobs in the cyber and technology workforce, and companies across the globe find it increasingly difficult to fill these critical positions with skilled talent. Beginning in the fall 2017 semester, Northern Virginia Community College students can advance their career at a much faster pace through NOVA’s Express Weekend and Evening College at the Woodbridge Campus. For the fifth consecutive year, Northern Virginia Community College’s Medical Education Campus (MEC) has hosted a career shadowing day as part of George Mason University’s Early Identification Program (EIP) Summer Academy. As part of the Film Without Walls film series, Film Collaborative International (FCI) at Northern Virginia Community College will develop and produce a short narrative around this year’s theme, “Climate Change.” This year, FCI members will collaborate with students from Dundee & Angus College in Dundee, Scotland. AT&T Aspire recently donated $20,000 to Northern Virginia Community College to support science, technology, engineering and mathematics (STEM) programs. 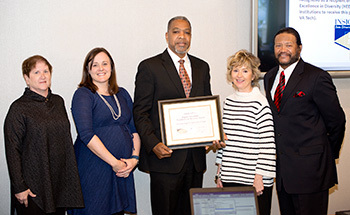 STEMinar Coordinator Charles Britt organized and submitted the grant application, and representatives from AT&T Aspire presented the NVCC Educational Foundation with the check during a brief ceremony at the Alexandria Campus. Northern Virginia Community College and Virginia Tech recently received a $5 million grant from the National Science Federation (NSF) to promote engineering transfer student success. 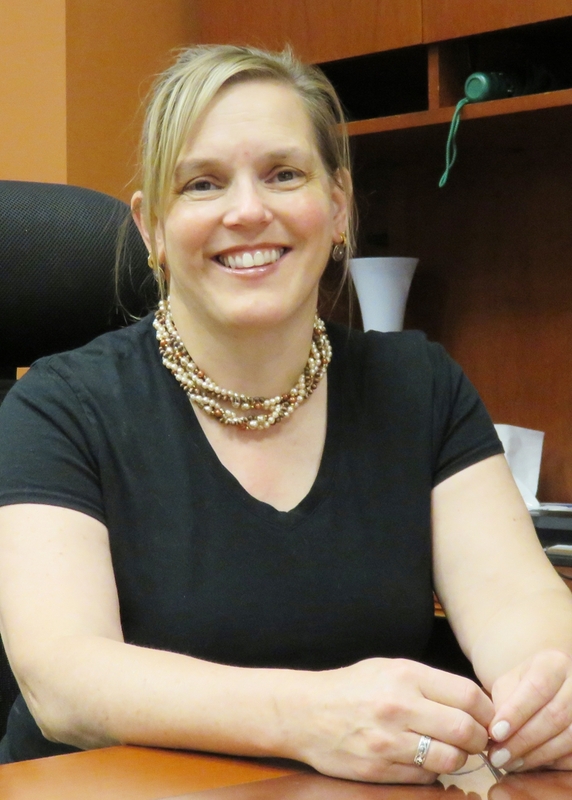 Dr. Diane Mucci has been named dean of the Science and Applied Technologies Division at the Manassas Campus of Northern Virginia Community College. Manassas Provost Molly Lynch made the announcement. The Licensed Practical Nursing Program (LPN) at Northern Virginia Community College has earned recognition as one of the top three LPN programs in Virginia for 2017, according to rankings recently released by PracticalNursing.org. Governor of the Commonwealth of Virginia Terry McAuliffe visited the Virginia War Memorial in Richmond on June 7th to sign legislation to reduce community college tuition for active duty military students. In recognition for providing free dental services for local underserved youth, the Medical Education Campus (MEC) of Northern Virginia Community College’s Dental Hygiene program was honored at the Medical Care for Children Partnership Foundation’s (MCCP) "Celebrating our Partners in Health" gala on Saturday, June 3 at the Fairfax Country Club. 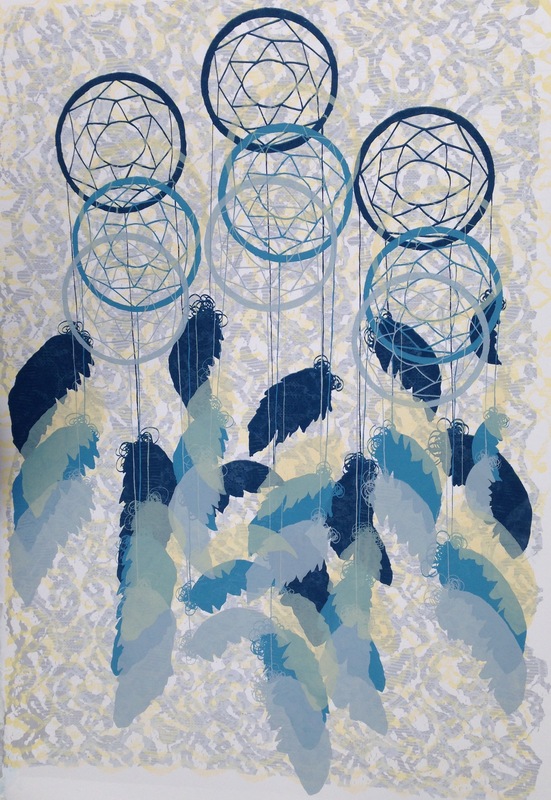 The Verizon Gallery at the Richard J. Ernst Community Cultural Center at Northern Virginia Community College’s Annandale Campus is honored to display The Language of Impressions, a printmaking art show that will include works created by 13 artists from the mid-Atlantic region. The show will be on display for the month of June with an artists’ reception scheduled for 2 p.m. to 4 p.m. Saturday, June 3. There’s still time to earn college credits this summer at Northern Virginia Community College during a five-week summer session that starts June 27 and ends Aug. 1. 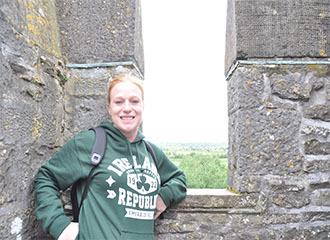 Britt Conley, administrative assistant with Northern Virginia Community College’s Alexandria Campus Fine Arts and Music departments, will participate in the Mystical and Majestic: Music and Light concert and art show. The performance is at 4 p.m. Sunday, June 4 at the George Washington Masonic National Memorial Theater, 101 Callahan Drive, Alexandria, VA 22301. Northern Virginia Community College’s Annandale Campus will host a Success through Early Preparation Session (STEP) session, a new student information event, 6 p.m. to 8 p.m. Monday, June 12 in the Richard J. Ernst Community Cultural Center located at the Annandale Campus, 8333 Little River Turnpike, Annandale, VA 22003. In an effort to reach and welcome adult learners in the City of Alexandria and surrounding communities, Northern Virginia Community College’s Alexandria Campus will host a Summer 2017 New Student Orientation for Adult Learners 5 p.m. to 6:30 p.m. Thursday, May 18 in the Bisdorf Building, Room 158. Artwork by Ignacio Alperin will be on exhibition in Colgan Hall at the Manassas Campus of Northern Virginia Community College from May 5 to 31. Alperin was born in Argentina, grew up in Australia, and has lived and traveled throughout Europe, America and Southeast Asia. Northern Virginia Community College’s Annandale Campus Student Government Association is hosting the Visionary 5K race May 13 with a 2 p.m. start time. The race will be held at the Annandale Campus in an effort to raise money for SGA’s $1,000 Visionary Scholarships, which are dedicated to NOVA students transferring to four-year schools who made an impact while they studied at the Annandale Campus. 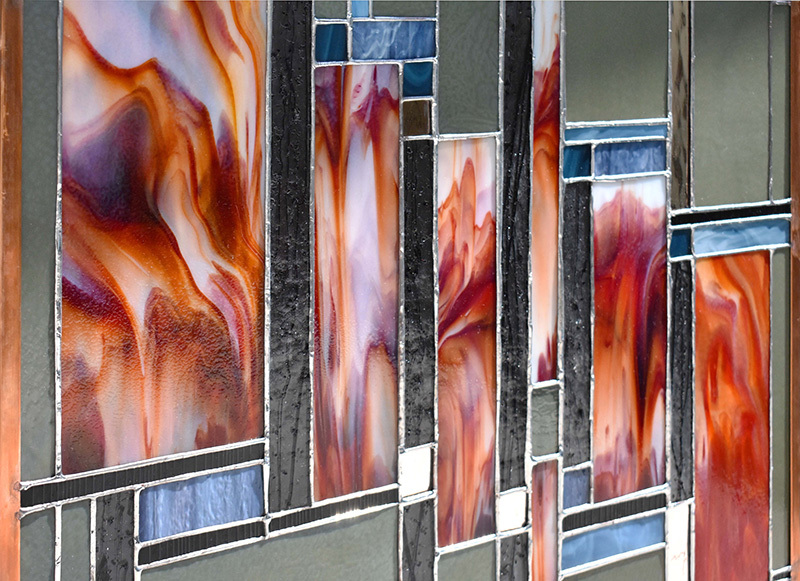 The galleries at the Rachel M. Schlesinger Concert Hall and Art Center at the Northern Virginia Community College Alexandria Campus will display the art exhibit Lachesis’ Order by artist Amelia Hankin. The show will be installed in the Passage and Forum galleries from May 12 to July 30 with an artist’s reception scheduled from 2 p.m. to 4 p.m. Saturday, May 20. Northern Virginia Community College hosted the graduation of its first cohort of Uncommon Coders. The event was held Friday, April 28 at the Regional Center for Workforce Education and Training on NOVA’s Woodbridge Campus, 2645 College Drive, Woodbridge, Va.
People who are interested in teaching part-time at the Manassas Campus of Northern Virginia Community College are encouraged to attend a job fair on Thursday, May 18 from 4 to 7 p.m. at Battleview Technology Center, 10500 Battleview Parkway, Manassas, VA 20109. The Northern Virginia Community College NOVA Alexandria Community Chorus, Band and Jazz Band will perform a variety of musical selections as part of a concert celebrating the 40th anniversary of the chorus and the band. The concert will take place from 7:30 p.m. to 9:15 p.m. Friday, May 5 at the Rachel M. Schlesinger Concert Hall and Arts Center at the Alexandria Campus, 4915 East Campus Drive, Alexandria, VA 22311. Northern Virginia Community College’s Woodbridge Campus will host its annual Spring Open House on Saturday, April 22, from 10 a.m. until 1 p.m., 2645 College Drive in Woodbridge. Prospective students will have the opportunity to apply for the upcoming fall semester, receive early advising and onsite FAFSA assistance, tour the campus and learn about transferring and guaranteed admissions procedures. Northern Virginia Community College’s Annandale Campus will host its Third annual STEM Fair 10 a.m. to 3 p.m. Tuesday, April 18 at the Richard J. Ernst Community Cultural Center, 8333 Little River Turnpike, Annandale, VA 22003. Approximately 250 students from Northern Virginia Community College and other colleges, interested locals and 70 local high school students have registered to attend 2017 Innovation Hackathon. The 36-hour-long competition will focus on offering hands-on experience to promote cybersecurity through analyzing secure coding methods. Lindsay Chrysler Dodge Jeep Ram in Manassas recently donated nearly $31,000 worth of components to the Automotive Program at the Manassas Campus of Northern Virginia Community College. Mike Wang was instrumental in organizing the donation. Wang is the service director at Lindsay Chrysler Dodge Jeep Ram and a member of the Manassas Campus Automotive Advisory Committee. The Margaret W. & Joseph L. Fisher Art Gallery at the Rachel M. Schlesinger Concert Hall and Arts Center at Northern Virginia Community College’s Alexandria Campus is honored to exhibit a series of sculptures by regional artist Wilfredo Valladares in his solo show Unmasked. The show will be on display April 17 to June 4 with an artist’s reception from 2 p.m. to 4 p.m. Saturday, May 20. Interested in pursuing a career in the heating, air conditioning and refrigeration (HVAC-R) industry? Northern Virginia Community College’s Woodbridge Campus will host local HVAC employers to recruit NOVA graduates and members of the general public at their annual HVAC Career Fair from 4:30 p.m. to 6:30 p.m. Wednesday, April 12, 2645 College Drive, Woodbridge, VA. The community is invited to the Third Annual Writing Conference on Friday, April 28 from 10 a.m. to 3 p.m. Sponsored by the Manassas Campus of Northern Virginia Community College, the conference is free and open to the public but registration is required at www.NOVAMAwritingconference2017.eventbrite.com. George Mason University and Northern Virginia Community College have announced a groundbreaking partnership to assist students as they transfer from a two-year program and complete a four-year undergraduate degree. ADVANCE: A NOVA Mason Partnership will increase graduation rates and smooth the path to a degree while saving students time and money in the process. ADVANCE also will work in collaboration with Northern Virginia employers to adapt and create high-demand programs to fulfill critical workforce needs. Trevor Andrew Maco of Sterling and India Mazzaro of Centreville have been named 2017 Coca-Cola Community College Academic Team Gold Scholars, and Phillip Alexander LeMaster of Ashburn was named a 2017 Coca-Cola Community College Bronze Scholar. Northern Virginia Community College’s Alexandria Campus will host the 2017 NOVA JobCon, a week of workshops and lectures covering job and career preparation. This event will take place April 3-6 as part of Student Career Success Week at the Alexandria Campus, 5000 Dawes Ave., Alexandria, VA. Registration begins March 28 for Northern Virginia Community College’s summer session. Classes in the 10-week session begin May 22 and end Aug. 2. Eight-week sessions start May 22 and June 5, and five-week sessions start May 22 and June 27. The Medical Education Campus (MEC) of Northern Virginia Community College will host the sixth annual Walk-4-Life Community Health Fair on Saturday, April 22 from 11 a.m. to 2 p.m. The family-friendly event will include free activities such as face painting, games, food and live music for all to enjoy. David Bakradze, the Georgian ambassador to the United States, will present “Georgian Success Story” in Colgan Theater at the Manassas Campus of Northern Virginia Community College on April 12 starting at 11:20 a.m.
Northern Virginia Community College President Scott Ralls and NOVA College Board Chair Todd Rowley are among 28 members appointed to serve on the GO Virginia Regional Council for Northern Virginia. The council consists of local leaders representing education, economic development, local government, non-profit and large and small business, and will help identify projects to compete for GO Virginia economic development funds. Ralls will represent the education sector and Rowley, who is the NOVA College Board chair and also a senior vice president for Cardinal Bank, will represent the large-business sector. The Manassas Campus of Northern Virginia Community College will hold a Law Enforcement Career Fair on April 5 from 10 a.m. to 2 p.m. 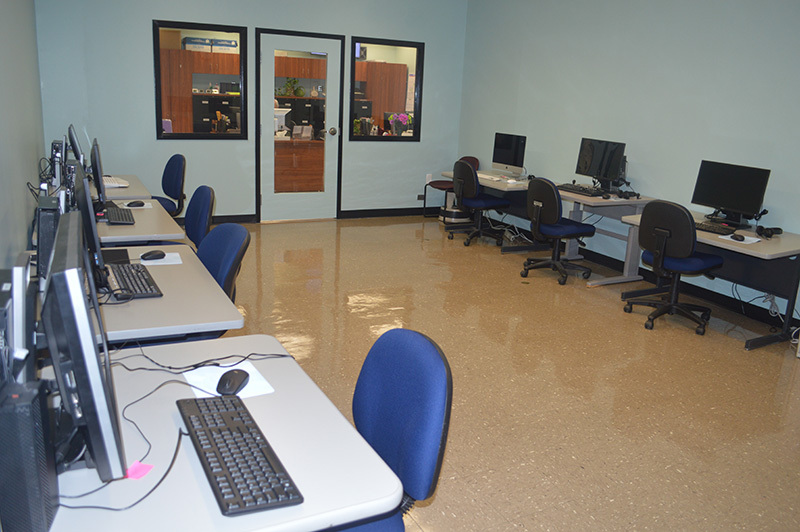 The Woodbridge Campus of Northern Virginia Community College is offering a newly-designed assistive technology testing lab to accommodate disabled students in need of adequate testing facilities. The fully-equipped lab will be used as a resource to further academic success for students with visual, hearing and mobility impairments. An official ribbon-cutting ceremony will be held Tuesday, March 28 at 2 p.m., 2645 College Drive in Woodbridge. The Automotive Program at the Manassas Campus of Northern Virginia Community College was recently approved to offer ASE testing at the campus. NOVA Idol 2017 returns with strong vocalists from all six campuses of Northern Virginia Community College. NOVA Idol 2017 will take place at 7 p.m. Friday, March 31 at the Rachel M. Schlesinger Concert Hall and Arts Center at the Alexandria Campus, 4915 East Campus Dr., Alexandria, VA 22311. 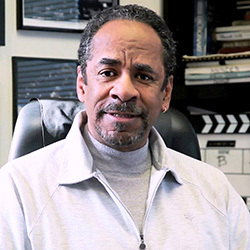 Tim Reid, Emmy-nominated actor, director and producer, will discuss his career in television and films at the Manassas Campus of Northern Virginia Community College on April 5 at 7 p.m.
Northern Virginia Community College will host a reception celebrating the launch of The Northern Virginia Review’s 31st edition 2:30 p.m. to 4:30 p.m. Tuesday, March 21 at the Richard J. Ernst Community Cultural Center at the Annandale Campus, 8333 Little River Turnpike, Annandale, VA 22003. The Automotive and Diesel Technology Program at the Manassas Campus of Northern Virginia Community College recently hosted two SkillsUSA competitions for high school students. On March 6, students from Fauquier High School and Triplett Tech participated in the SkillsUSA Diesel Competition which consisted of a written test and three work stations. 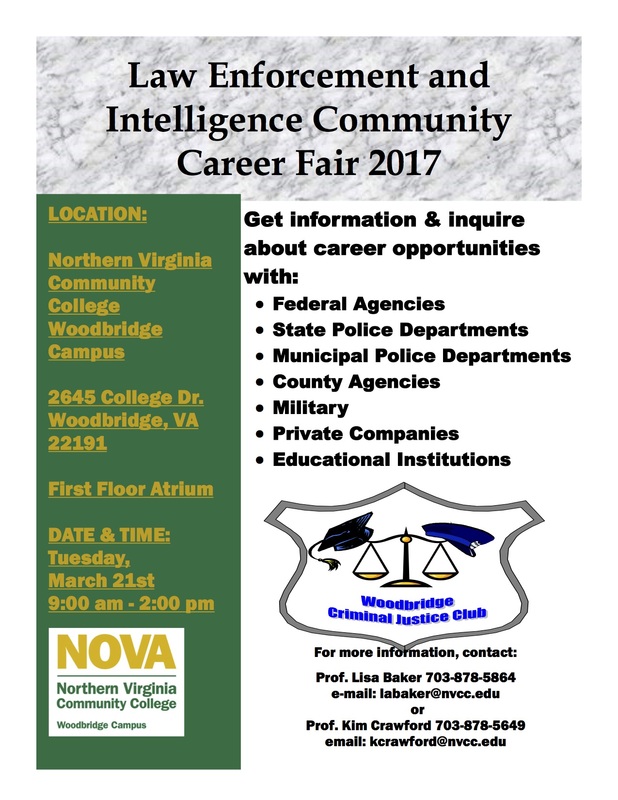 Northern Virginia Community College’s Woodbridge Campus will host over 30 local law enforcement employers to recruit NOVA graduates and members of the general public at the 2017 Law Enforcement and Intelligence Community Career Fair from 9 a.m. until 2 p.m. Tuesday, March 21, 2645 College Drive in Woodbridge. The fair, sponsored by the Woodbridge Criminal Justice Club, is the largest job fair of its type in the Commonwealth of Virginia. Northern Virginia Community College’s Alexandria Campus will host NOVA STEM Day for community youth from 10 a.m. to 3 p.m. Saturday, April 1, 5000 Dawes Ave., Alexandria, VA 22311. This event is one of several organized by SySTEMic Solutions, NOVA’s STEM outreach program, on different NOVA campuses throughout the year. During the 2017 NOVA Student Film Festival, Northern Virginia Community College will present a number of films created by NOVA students. The 2017 NOVA Student Film Festival is scheduled for 6 p.m. to 9 p.m. Thursday, April 27 in the Bisdorf Building, Room 196 at the Alexandria Campus, 5000 Dawes Ave., Alexandria, VA 22311. “The Many Faces of Woman” will be on display at the Manassas Campus of Northern Virginia Community College from March 1 to 28 in honor of Women’s History Month. The exhibition features artwork and poetry by Kathleen Stark of Springfield, Virginia. The Northern Virginia Community College (NVCC) Curriculum Committee recently approved curriculum modifications to the Diagnostic Medical Sonography program (DMS) at the Medical Education Campus. The DMS academic curriculum, which is now referred to as the Diagnostic Medical Sonography Program Guided Pathway, will offer changes to some of the DMS core courses, including changes to the number of credits, order of classes offered and course numbers. Northern Virginia Community College will partner with NBC4 (WRC-TV) again this year to host a community shred event from 8 a.m. to 11 a.m. Saturday, March 25 at the Annandale Campus in the B-15 parking lot, 8333 Little River Turnpike, Annandale. NOVA Workforce has published an innovative labor market dashboard to support the development of a strategic approach to meet the current workforce needs of regional employers. This new report will benefit economic development agencies, job seekers, and local employers by providing a snapshot of the regional labor market, ultimately putting the region on a path to remain economically competitive. Three automotive students at the Manassas Campus of Northern Virginia Community College received $1,000 scholarships from Volkswagen Group of America. The Northern Virginia Community College NOVA Alexandria Band, the John Adams Elementary School Orff Ensemble and the George Mason Elementary School Jazz Band will perform a variety of musical selections as part of the Children’s Concert. 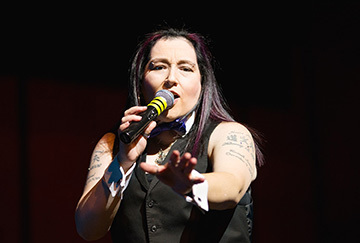 The concert is scheduled from 7:30 p.m. to 9 p.m. March 2 at the Rachel M. Schlesinger Concert Hall and Arts Center at the Alexandria Campus, 4915 East Campus Drive, Alexandria, VA 22311. 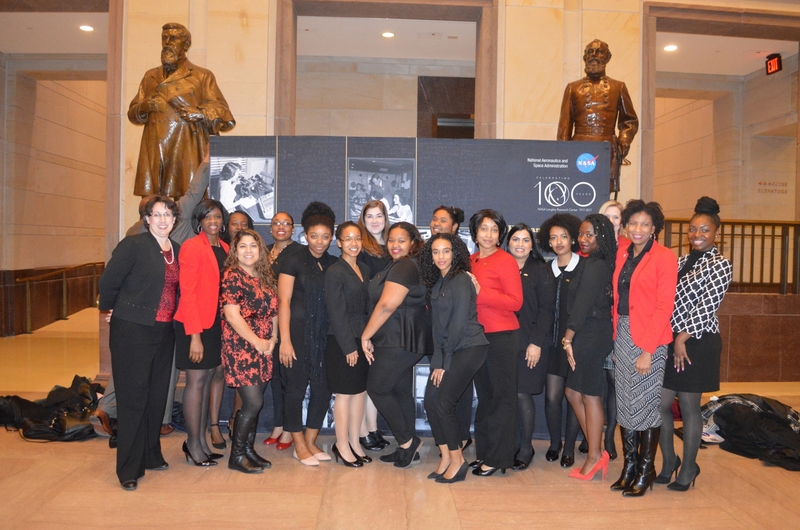 Northern Virginia Community College student mentoring and leadership programs, Women in Search of Excellence (WISE) and MAN UP attended a private screening of the film, Hidden Figures on Feb. 15, hosted by United States Senators Mark Warner, Tim Kaine, Sherrod Brown and Representative Bobby Scott at the United States Capitol. 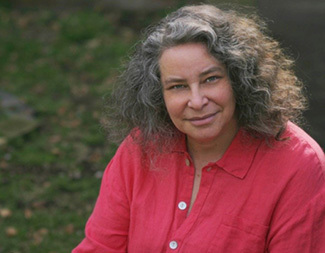 In celebration of Earth Day, Northern Virginia Community College will host the 2017 Green Festival with Keynote Speaker Sandra Postel, a water scientist for National Geographic and the director of the Global Water Policy Project. Registration is taking place now for an eight-week session that begins March 13 at Northern Virginia Community College. Courses in the eight-week session cover the same material and award the same credits as semester-long classes. Gail Rebhan, a photography professor at Northern Virginia Community College’s Woodbridge Campus will showcase her work at a faculty solo exhibit in The New Gallery for Contemporary Art at the Woodbridge Campus, 2645 College Drive (WAS). The exhibition is open Feb. 14 through March 24, with an opening reception on Tuesday, Feb. 14 from 4 p.m. to 5 p.m. The Medical Education Campus (MEC) of Northern Virginia Community College hosted the 2017 Give Kids A Smile event (GKAS) on Fri., Feb. 10. 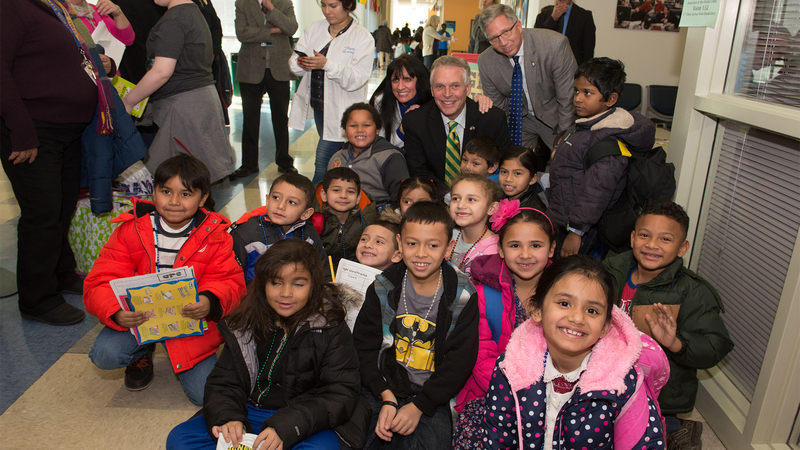 The event, sponsored by the Northern Virginia Dental Society, provided free dental services to 391 at-risk preschoolers primarily from Arlington County. Northern Virginia Community College President Scott Ralls named NOVA’s Allied Health Dean Andrew B. Cornell, Sr., as acting provost for the Medical Education Campus following the announcement that Provost Anne Loochtan will be leaving the college in early March. David Johns will discuss the importance of supporting the education of African American students “from cradle to career” on Feb. 28 at 7 p.m. in Colgan Theater at the Manassas Campus of Northern Virginia Community College. 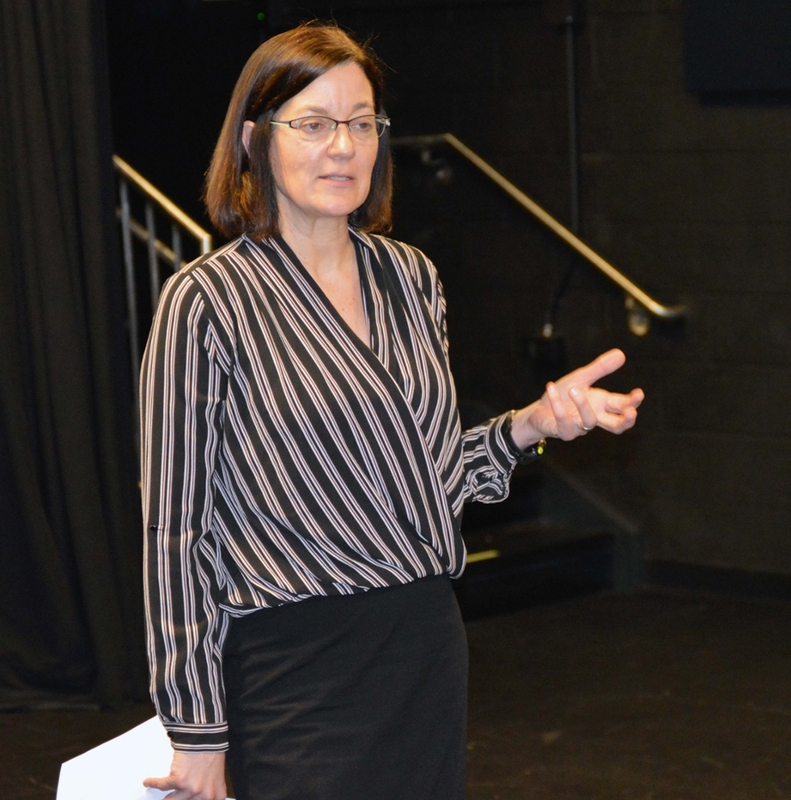 Dr. Réka Szemerkényi, Hungary’s ambassador to the United States, will discuss her country at the Manassas Campus of Northern Virginia Community College on Feb. 22 starting at 10:10 a.m. The presentation is free and open to the public with free parking in B4 (follow parking signs). NOVA-Manassas is at 10950 Campus Drive, Manassas 20109. For more information, contact Business Professor Frank Ferrara at fferrara@nvcc.edu. Northern Virginia Community College’s Alexandria Campus will host Elect Her, the College-wide training program encouraging women students to run for student government and to consider a future in politics. The program was created in an effort to diminish the political leadership gender gap for women. The training program will take place from 9:30 a.m. to 4 p.m. Friday, Feb. 24 in Room 158 of the Bisdorf Building on the Alexandria Campus. The Rachel M. Schlesinger Concert Hall and Arts Center at Northern Virginia Community College’s Alexandria Campus welcomes artist and George Mason University graduate student Lonnie Pauls to display her unique, music-inspired artwork in the second-level Passage Gallery. Pauls’ show Chroma will be on display from Feb. 3 through March 12 with an artist’s reception from 2 p.m. to 4 p.m. Saturday, Feb. 11. Northern Virginia Community College has been awarded the prestigious 2016 HEED Award by the owner and publisher of Insight into Diversity Magazine, Lenore Pearlstein. In honor of African-American History Month, the Manassas Campus of Northern Virginia Community College is exhibiting mixed-media artwork by Anne Bouie of Washington, D.C.
Dr. Margaret Leary, professor of information technology at the Alexandria Campus of Northern Virginia Community College and director of NOVA’s Cybersecurity Program, has been named a 2017 Outstanding Faculty of the Year by SCHEV (the State Council of Higher Education for Virginia). This award is the Commonwealth's highest honor for faculty at Virginia's public and private colleges and universities. Leary is the 13th NOVA Professor to have received this prestigious honor since the award’s inception in 1987. Discover a myriad of careers available in the information technology industry at Northern Virginia Community College’s Woodbridge Campus open forum, Academic Pathways to Technology Careers on Saturday, Jan. 28, from 10 a.m. until 2 p.m., at 2645 College Drive in Woodbridge. The Rachel M. Schlesinger Concert Hall and Arts Center at Northern Virginia Community College’s Alexandria Campus welcomes artist John M. Adams as a part of the 2017 season for the center’s art galleries. Adams has created the site-specific graphite drawing Terminal Flux on the wall of the atrium of the building. The exhibit for the drawing opens Monday, Jan. 16 with an artist’s reception from 2 p.m. to 4 p.m. Saturday, Feb. 11. More than 250 Northern Virginia Community College students, faculty, staff and surrounding community members will work together during the MLK National Day of Service. The event will take place from 10 a.m. to 2 p.m. Monday, Jan. 16 at the Rachel M. Schlesinger Concert Hall and Arts Center, 4915 East Campus Dr., Alexandria, VA 22311.